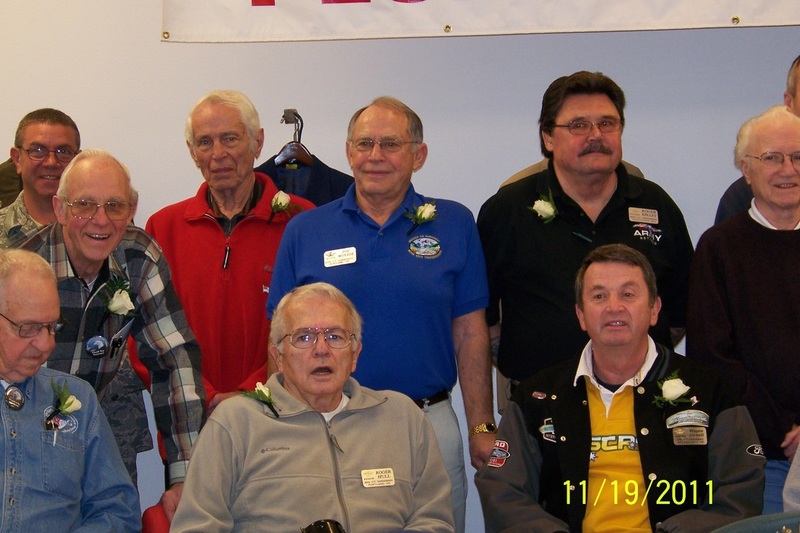 On Saturday, Nov. 19th 2011 we had a great pot-luck dinner and took the time to honor each veteran in our club. We were joined by the Early Ford V8 club. 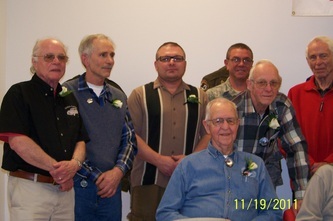 They also honored their veterans. 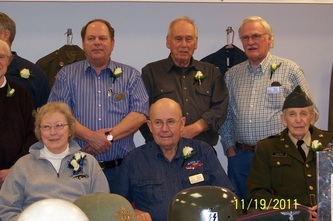 Each club vet was called up and a brief review of their military duties was given. 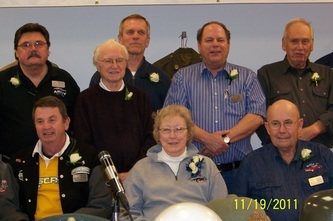 Each was then given a Certificate of Appreciation from our club. 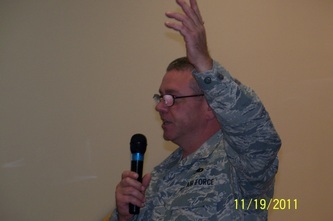 Those who had provided information but were unable to attend have received their certificates in the mail. Oregon Air National Guard Tech Sergeant Burt Darnielle displayed his Mobile Military Museum. Burt has been collecting military memorabilia for over 40 years. 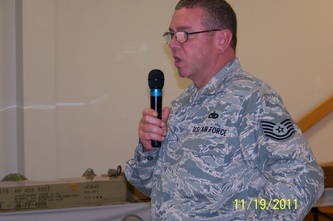 He gave a brief history of a few of the items. 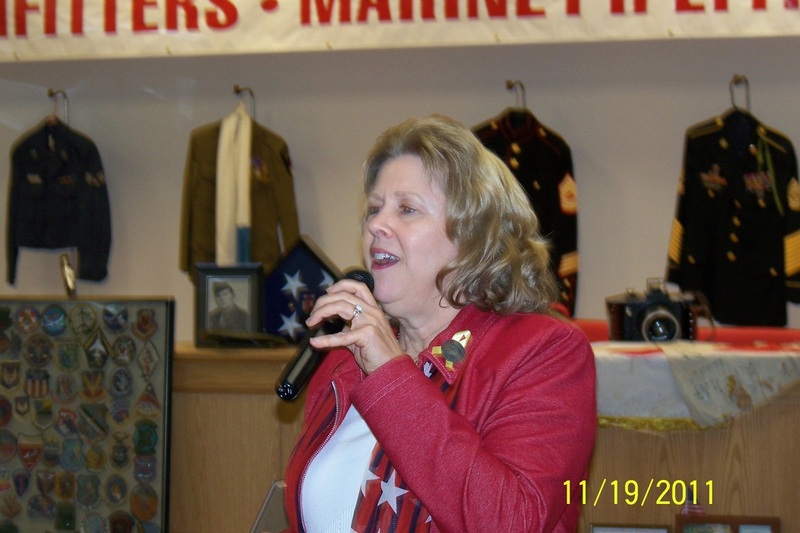 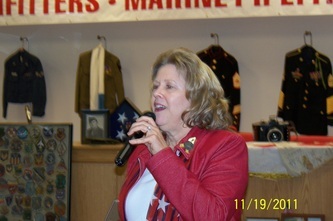 Barb Halverson also recognized and honored the veterans with a song titled "I Salute You". Veterans from both clubs are shown below.